On a recent trip to Sydney I was “researching” the amazing designer ready to wear as I am always interested in the construction and finishing techniques that the high end designers employ with the aim to replicate that level of quality in my own sewing. I was investigating the construction of this beautiful dress by 3.1 Philip Lim and was really taken by the attention to the seam neatening! Unfortunately I didn’t have my camera with me to capture it, and my calico sample does not do it justice! I have seen this type of seam finish documented in several sewing books but having never seen it in the flesh, just never knew how lovely it really is and the lovely quality it adds to your garment. 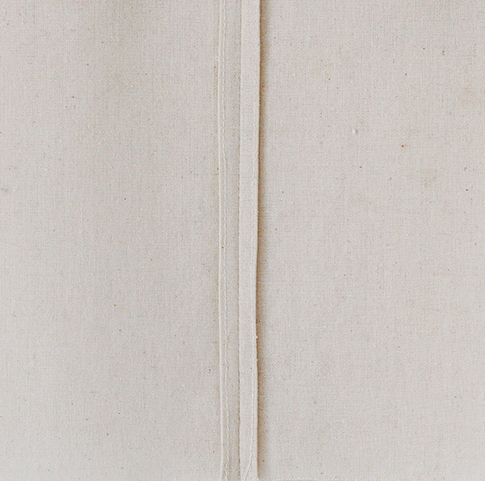 This seam neatening technique is called a “clean finish” or a “turn and stitch” and is suitable for medium to lightweight fabrics. 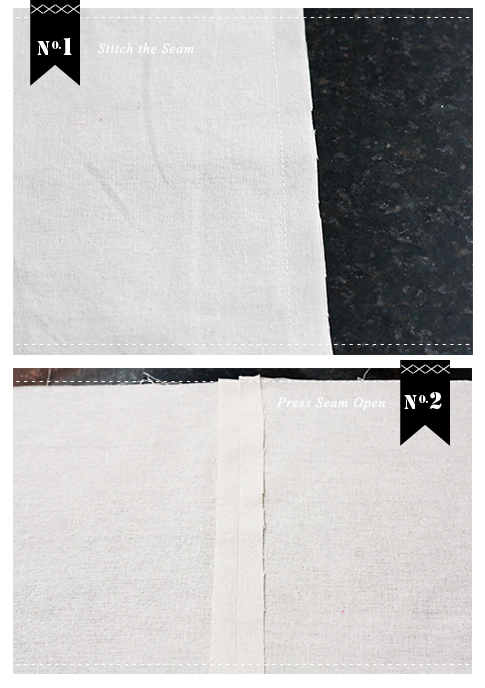 Its a great one if you don’t have an overlocker and don’t wish to zig zag over your seam edges. 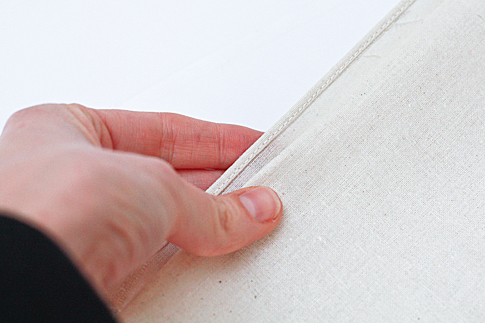 There are two techniques to construct this seam finish depending on the type of fabric. The first is just a simple turning of the raw edge and edge stitiching. For really lightweight and sheer fabrics that fray easily create the turn over with a rolled hem foot, that creates a double fold, enclosing the raw egde. The Philip Lim example was a lightweight silk and they had employed the first technique. I also noticed this finish on a Camilla and Marc sheer silk georgette top where they had used a rolled hem foot to create the double turn. 1. Stitch your seam using the correct seam allowance on your pattern. 2. Press the seam open. 3. 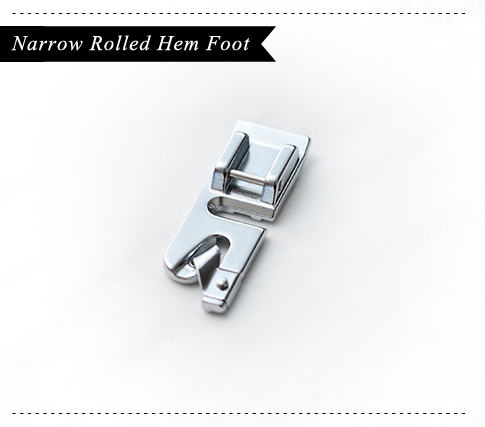 Either Press or if the fabric is sturdy enough finger-press 3-6mm ( 1/8″ / 1/4″) of the seam allowance back under and towards the seam. Edgestitch along the fold. I aligned the folded edge with the center notch on the presser foot, then adjusted the needle position to stitch nice and close to the folded edge. 4. Repeat on the other seam edge and Press open. This calico sample does not do it justice! Try in on a lovely silk dress or sweet skirt. 4. 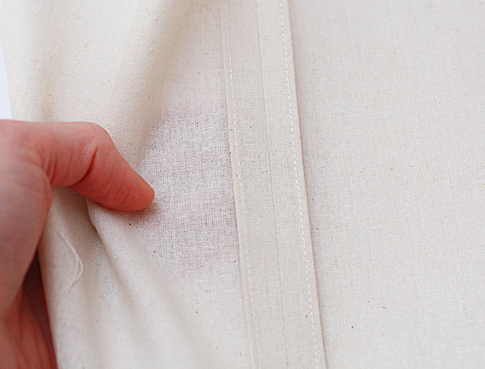 Stitch a rolled hem with the wrong side up of your seam. Use the instructions that came with the foot or check out this helpful tutorial. 5. Repeat on the other side of the seam and press flat.